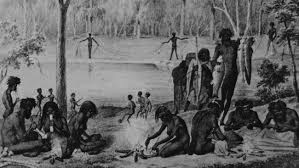 Australia or the continent known by the Latin term ‘Terra Australis’ the Great Southern Land in ancient history was once part of the greater landmass Gondwanaland. It is also home to the oldest continuous cultures in the world, the Indigenous Aboriginal and Torres Strait peoples. 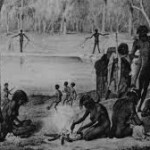 For over 60,000 years the Indigenous with at least 250 distinct language groups, lived with diverse cultural practices within ‘Nation’s’ and ‘Tribal or Clan’ groups. They share a profound Elder hierarchy, a Dreamtime and a connection to country, a connection to their land.